Dance Hair Clip, Bridal Hair Flower Clip. 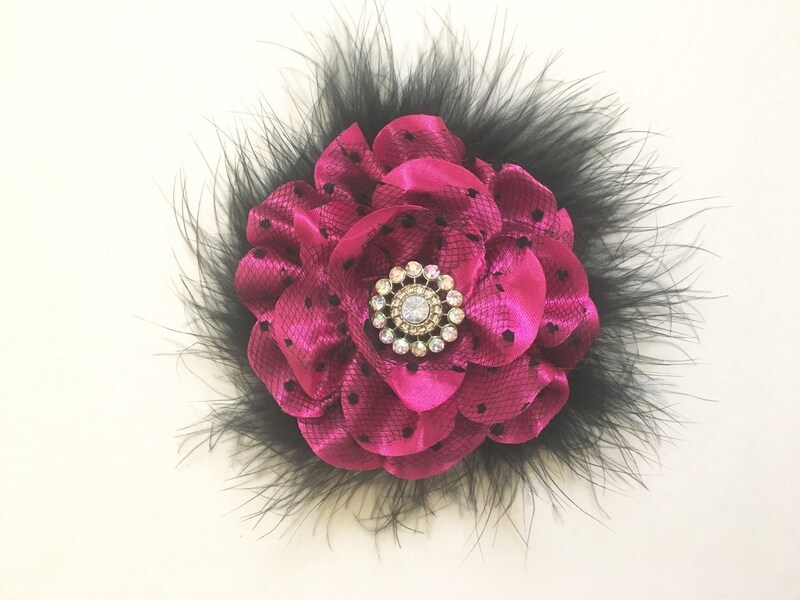 Custom Hot Pink and Black Lace Rhinestone Marabou Hair Flower Clip. 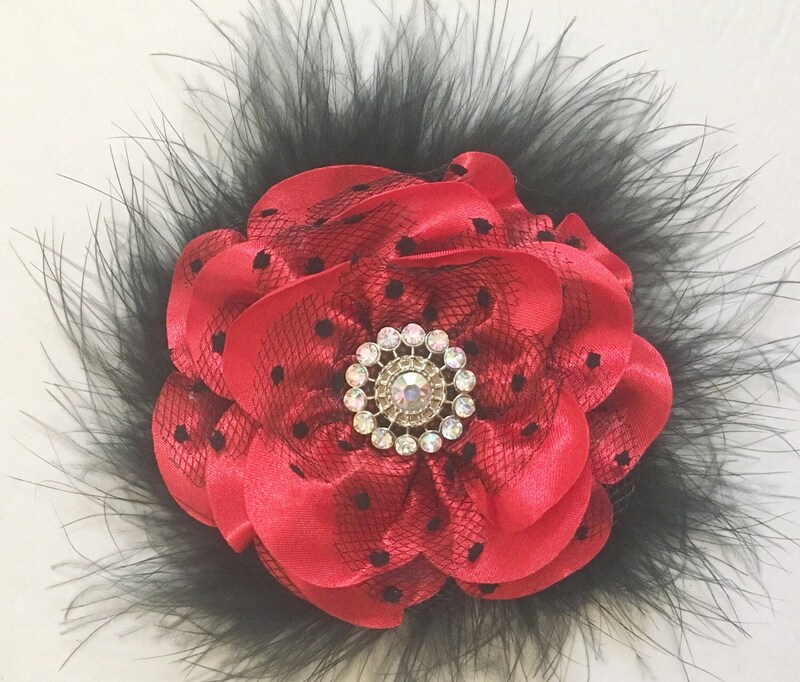 5 inch Flower, Sateen Hot Pink, Black Dot Lace, Black Marabou, AB Rhinestone, Alligator clip. 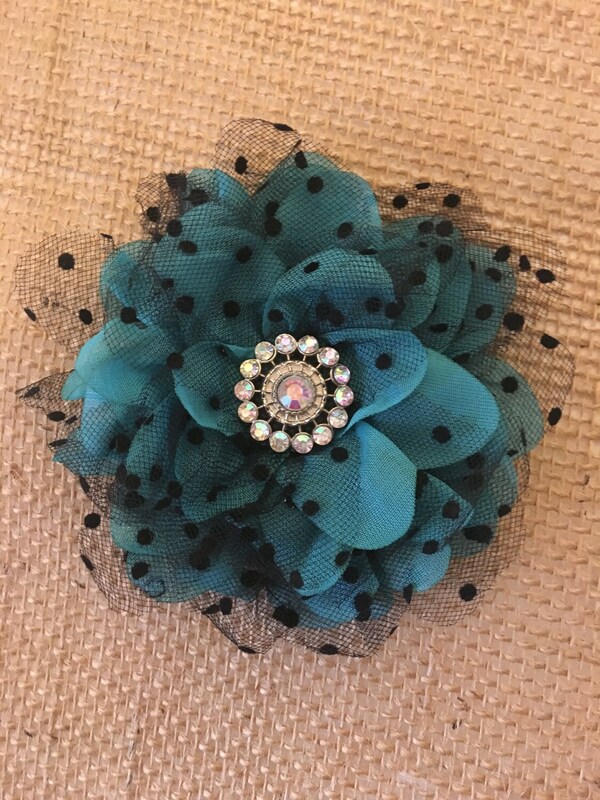 Available on a stretchy or arched headband.